Hydrangeas prefer moist, well-drain soil. Choose a location that is in a cool, semi-shady part of the garden. Some sun in the mornings is welcomed. Avoid an over exposed location where winds can damage the young spring growth. Hydrangeas should be planted in spring or fall. 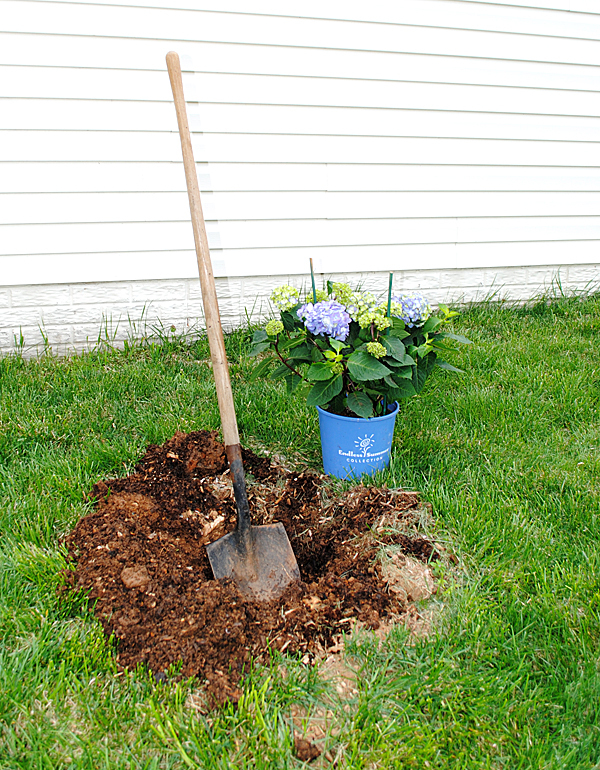 It is important to plant them properly which means digging a hole as deep as the root ball, but 2-3 times wider. When done put the plant in, fill half of the hole with water, let it drain then fill in the rest of the hole. Water again. It is best to plant Hydrangeas 3 to 10 feet apart.